Lake Fairfax Park in Reston will have a daylong celebration with swimming, boat rides, puppet shows, food ven dors, live music and fireworks when it gets dark. Parking is $10/vehicle. The rain date for fireworks is Sunday, July 1. Workhouse Arts Center in Lorton will feature live music by the U.S. Navy Band Commodores, the Navy's premier jazz ensemble and a spectacular fireworks show! The event begins at 5 p.m. and fireworks start at dusk. General admission is free and parking is available for $20/vehicle. 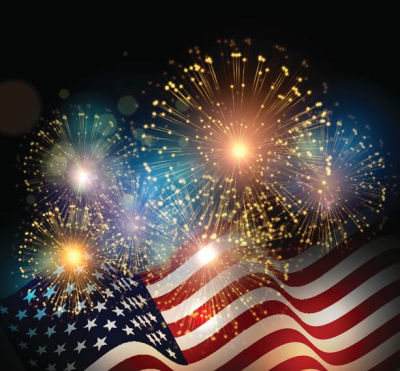 Springfield Golf & Country Club puts on a nice fireworks display beginning at dusk but be advised that parking on the property is for Country Club members only. McLean's Annual 4th of July Celebration takes place at Churchill Road Elementary. The free event begins at 6:30 p.m. and includes free shuttle buses, a DJ and food trucks. The rain date for fireworks is Thursday, July 5. National Mall Fireworks Display 9:09 p.m. - 9:27 p.m. Independence Day culminates with a spectacular fireworks display over the National Mall. The fireworks will be launched from the area of the Reflecting Pool, and will be visible from many locations througf out D.C. and Northern Virginia. The fireworks will be cancelled in case of heavy rain, thunderstorms or high winds.